Funeral Program Friday: Marion Allen Christian. | Scuffalong: Genealogy. Funeral Program Friday: Marion Allen Christian. – Scuffalong: Genealogy. Funeral Program Friday: Marion Allen Christian. 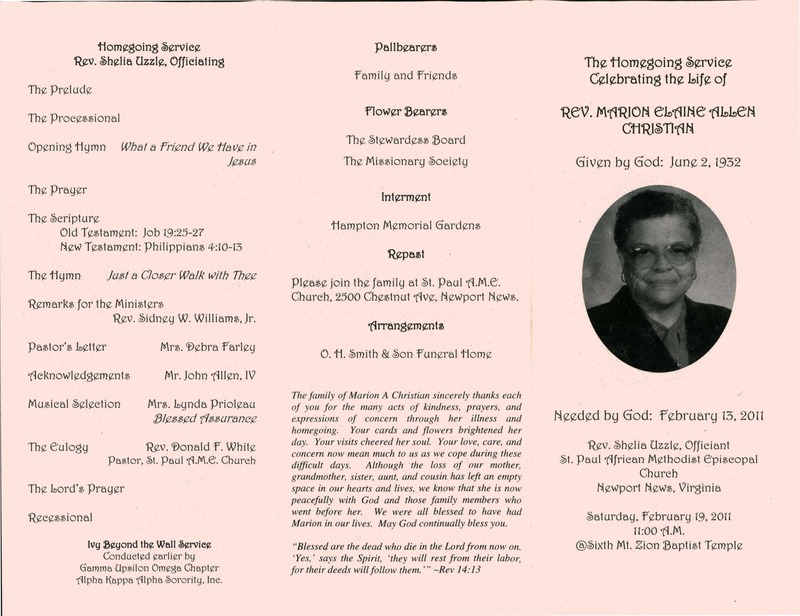 Remembering my mother’s elder sister, my aunt, the Reverend Marion Allen Christian (2 June 1932-13 February 2011). → Confederate map tells all. 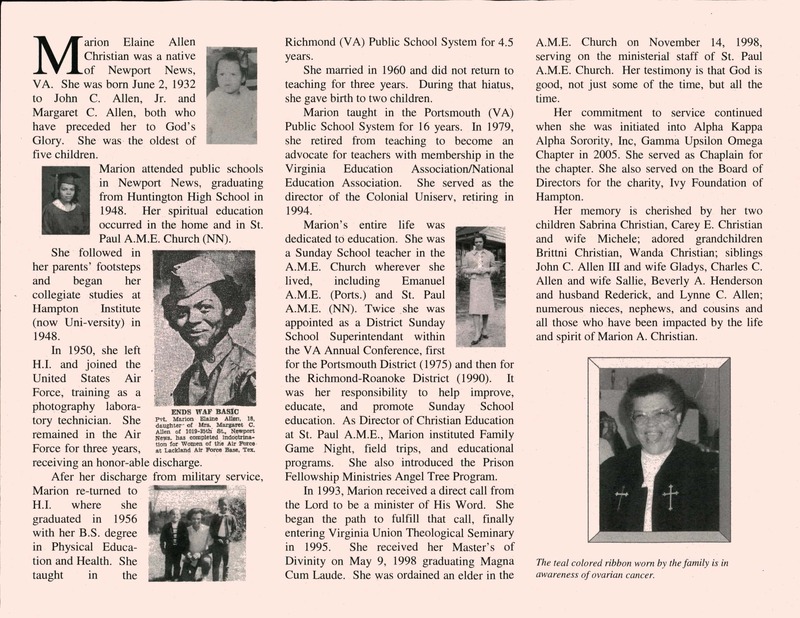 ← Remembering Margaret Colvert Allen. Well Done!! you can make it memorial by using Funeral Program Templates as well. Browse “Funeral Program Site” and review. I have no interest in your product, but thank you. Pingback: The notebook in the shed. | Scuffalong: Genealogy.